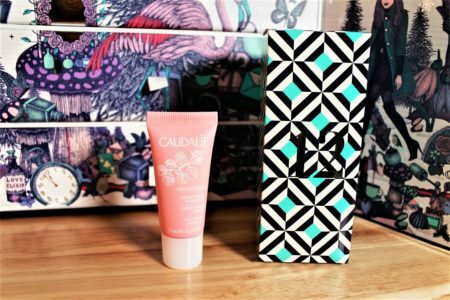 Day 12 (my sisters birthday – happy birthday Nad) and we have the Caudalie Vinosource Moisturising Sorbet. This retails at £23 and is a revolutionary cream to gel formula. What? Cream to gel? Yup, it comes out as a cream but when rubbed into your skin, it transforms to a light gel which absorbs effortlessly into your skin. This is a really beautifully hydrating treat for skin and the first thing I’ve actually tried from Caudalie. What are your thoughts on the cream to gel formula? Leave a reply on "Look Fantastic Advent calendar: #12Dec"